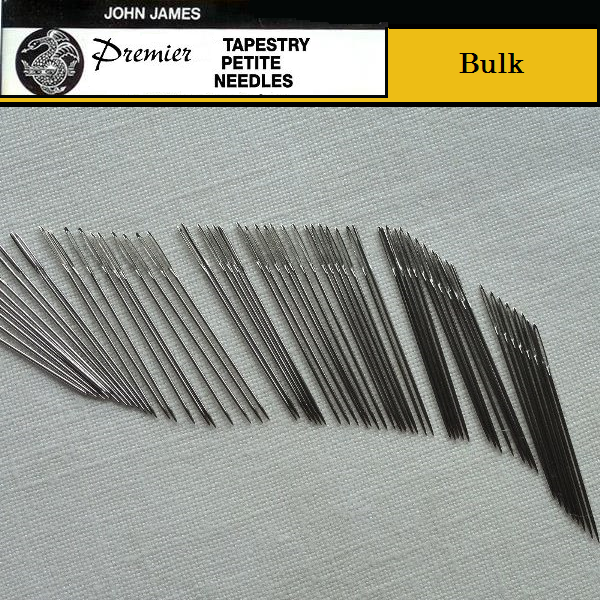 THESE ARE FIRST QUALITY JOHN JAMES “PETITE” #26 Tapestry needles, just without the wrapper. Buy in bulk and save on one of the more popular sizes. 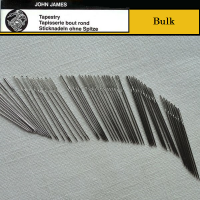 These sewing needles have a large eye and a blunt round point. However, they are shorter in length than the ordinary tapestry needle, allowing for quicker stitching, nimbleness and accurate finishing. The large eye allows them to carry a heavier weight yarn or thread. 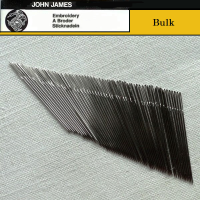 Their blunt tip allows them to pass through loosely-woven fabric such as embroidery canvas or even-weave material without catching or tearing. 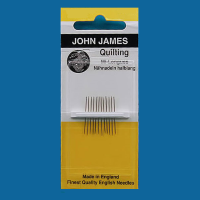 Manufactured in England by skilled craftsmen, John James needles are known worldwide for exceptionally smooth stitching.